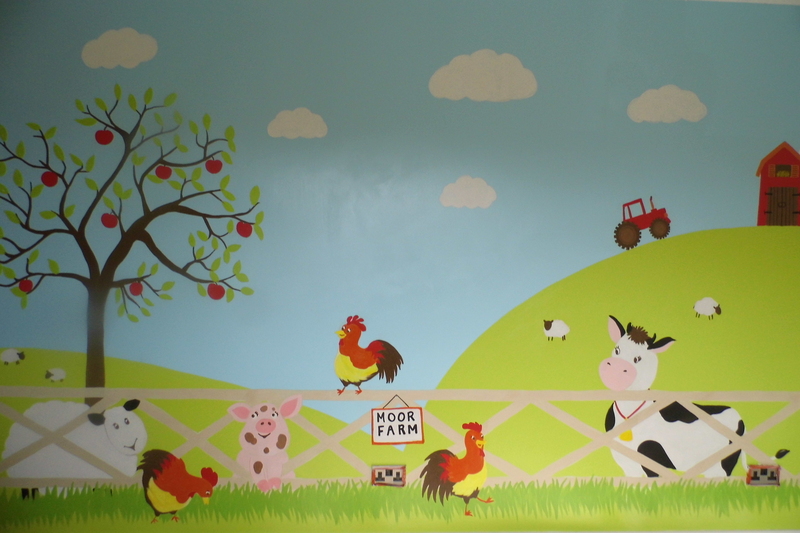 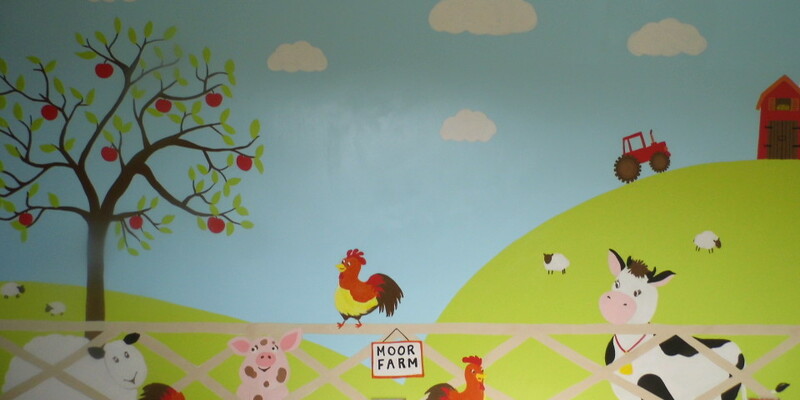 This child’s farm mural was painted in a little boys new bedroom. 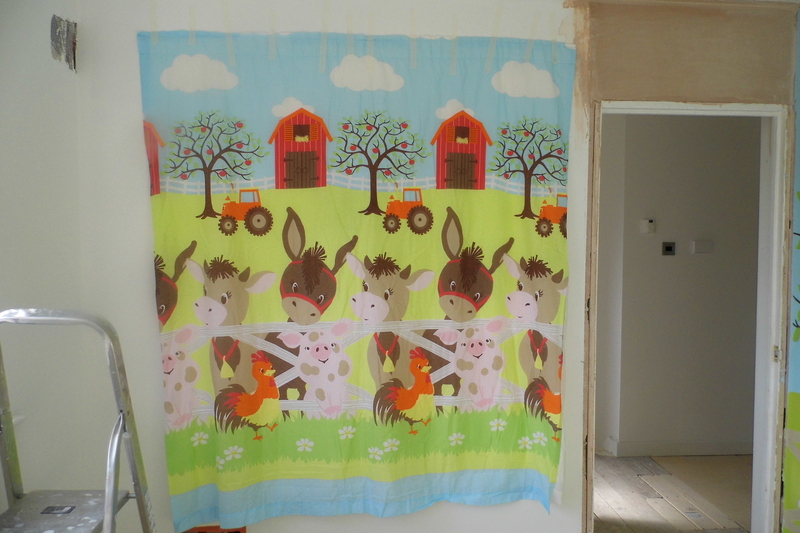 The style and colours were inspired by the farm themed fabric on the bedding and curtains in the room. This is the duvet cover that the child’s farm mural was based on.